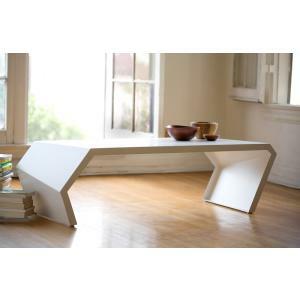 The Kyoto Coffee table is a beautiful rendition of modern minimal with a thick substantial appeal. It is clean, appealing, and functional as well with hidden storage. 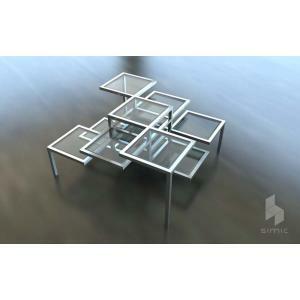 The Kyoto Coffee table from Tema features a unique design with four equal size table tops. This table is available with a fixed closed top or with an opening top. The opening tops gives you access to some valuable additional storage and allow you to hide the remotes and magazines who seem to always be out of place. 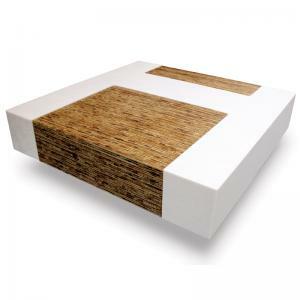 It's minimal styling makes it perfect for any modern living space.It is made of high quality wood veneer and comes in wenge (dark brown), chocolate, or pure white finish. Inspired in the early days Asian design, the Kyoto table is a statement to minimalist living. It's low profile highlight the surrounding elements while providing a ingenuous center piece. You may order the Kyoto modern wood coffee table flat packed with assembly needed or we can ship it fully assembled and by freight carrier with an upcharge as listed below. Receive wenge or chocolate in 2 to 4 weeks! 3 convenient shipping methods - we pay half the shipping for you!